This Dynamic Checkweigher CCK-5500 Series is design for product inspection of small to medium packages. Efficient and reliable solution for inspecting products in various fields such as food, pharmaceutical and logistics. 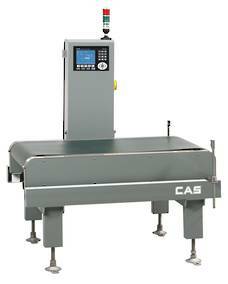 CCK-5500 In-Motion Checkweigher series caters a wide range of packages sizes. Weighing range: 3~6000g. Max Throughput: 250ea/min. Belt Speed: 10~84m/min. IP65 Rated. This Dynamic Checkweigher CCK-5500 20k/40k is designed product inspection for Large packages. Efficient and reliable solution for inspection for inspecting products in various fields such as food, pharmaceutical and logistics. 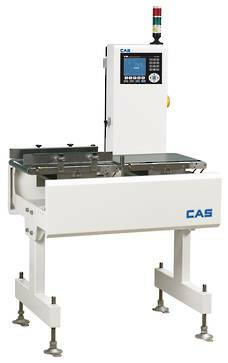 CCK-5500 20k/40k In-Motion Checkweigher seriers caters a wide range of packages sizes. Weighing range: 200~40,000g. Max Throughput: 60ea/min. Belt Speed: 10~54m/min. IP65 Rated.